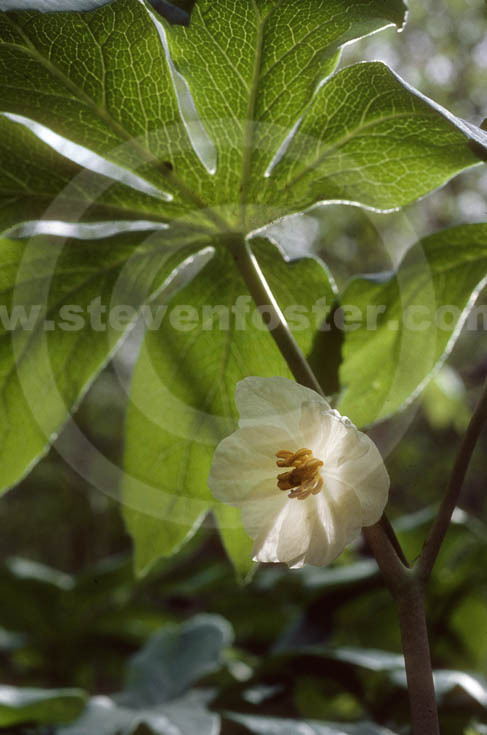 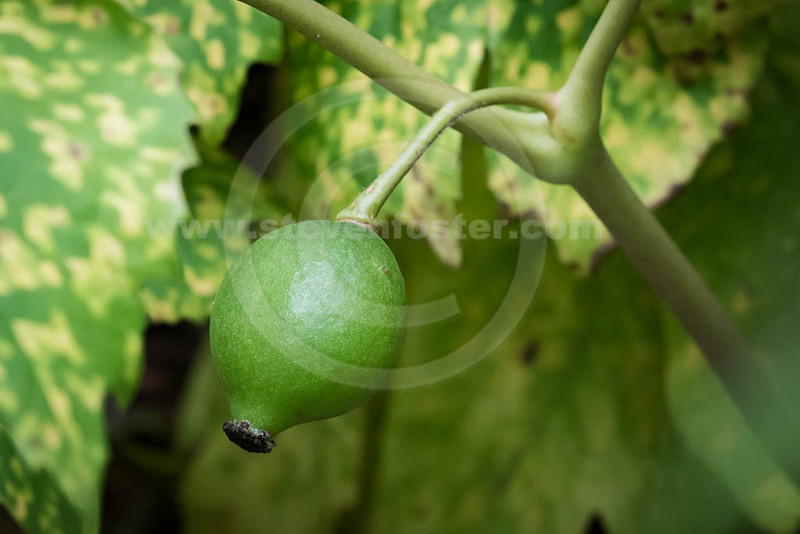 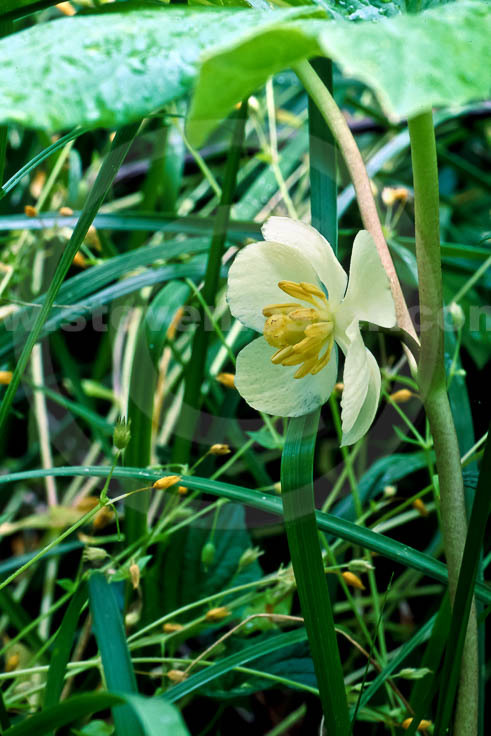 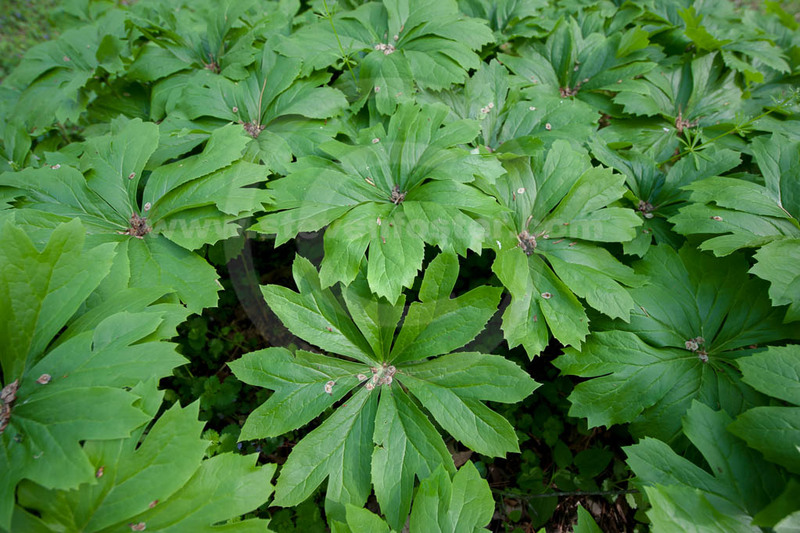 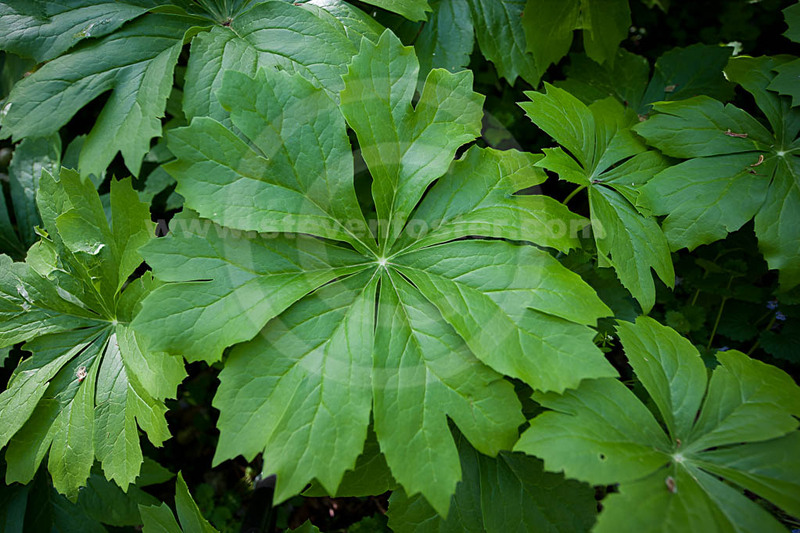 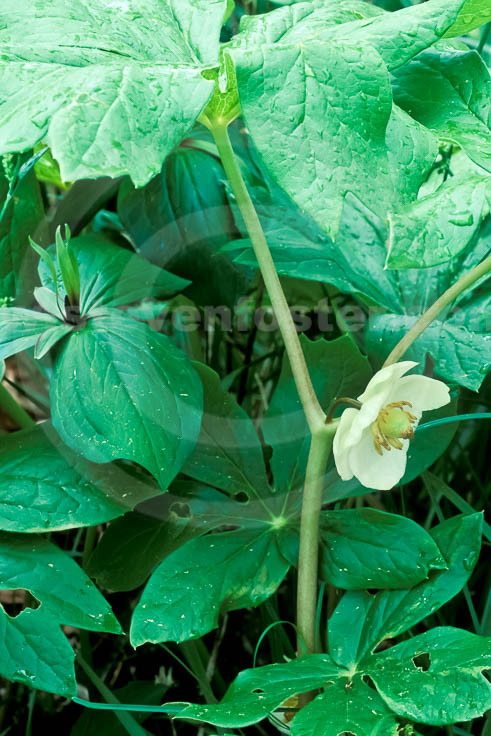 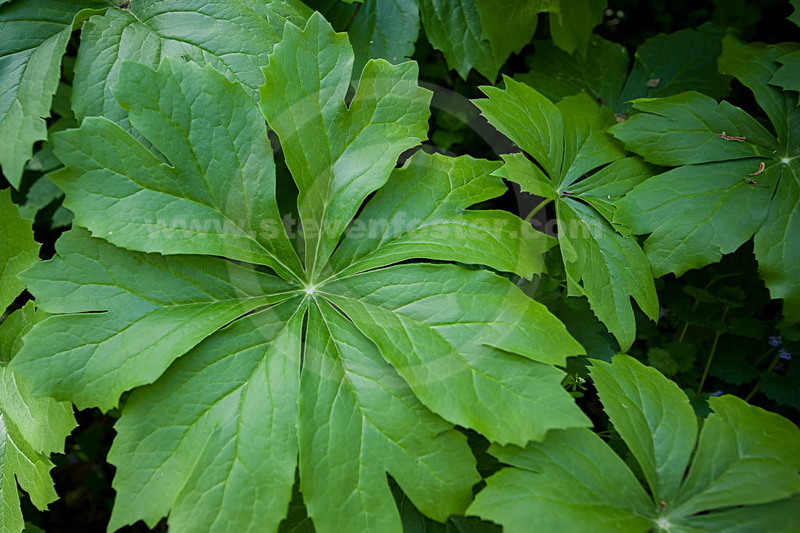 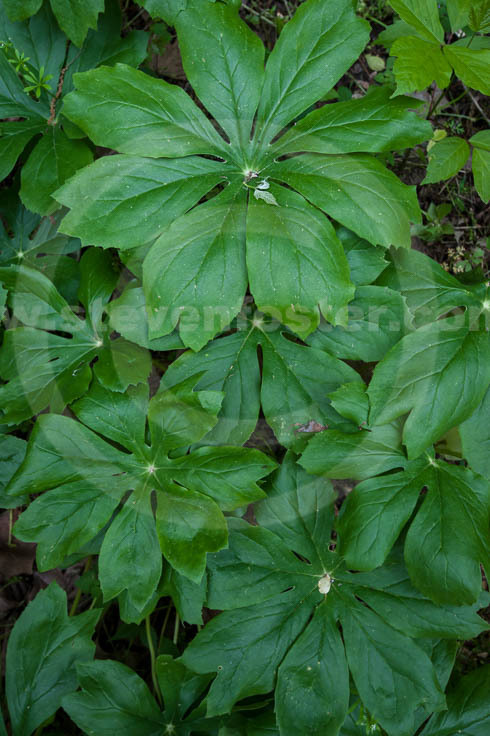 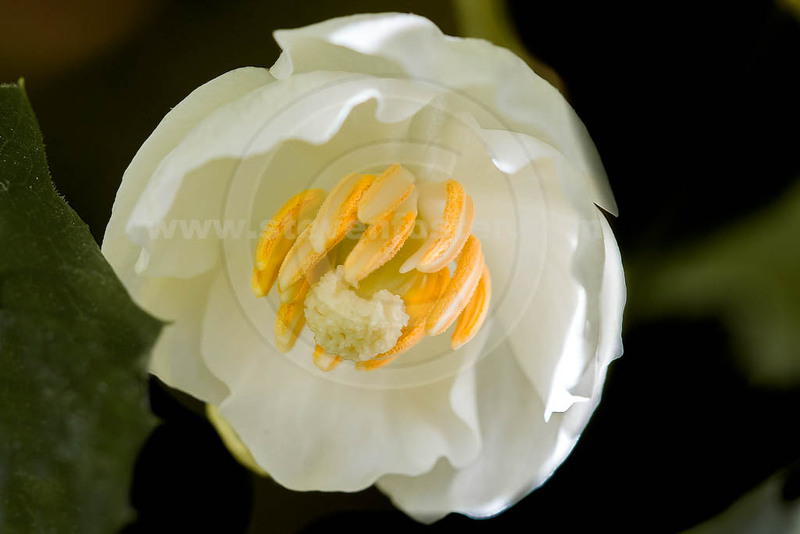 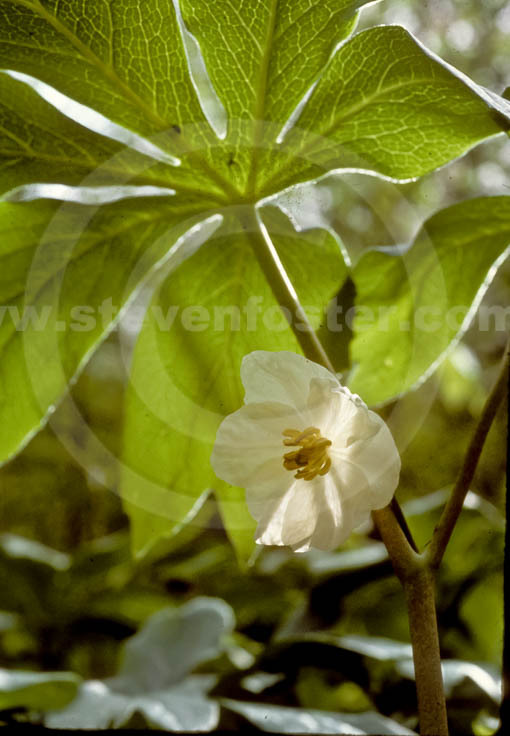 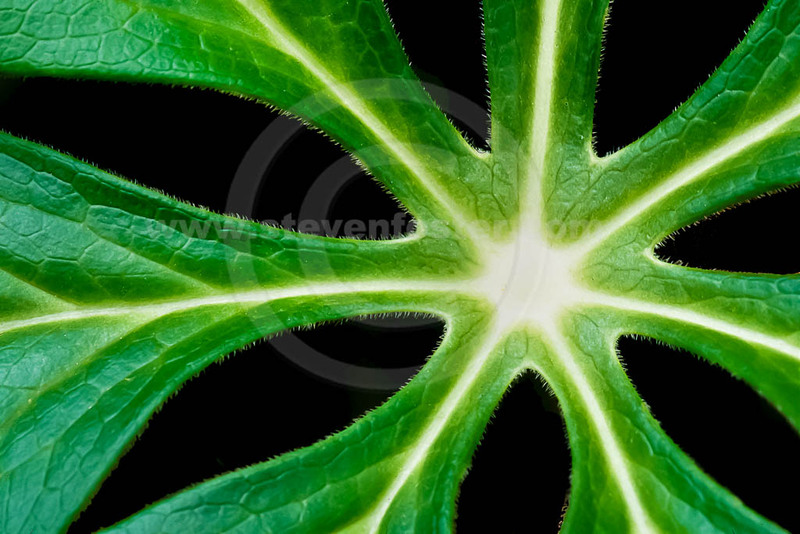 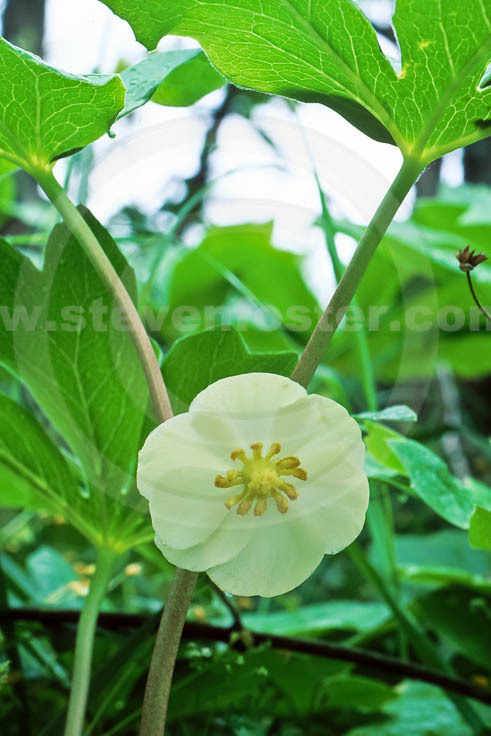 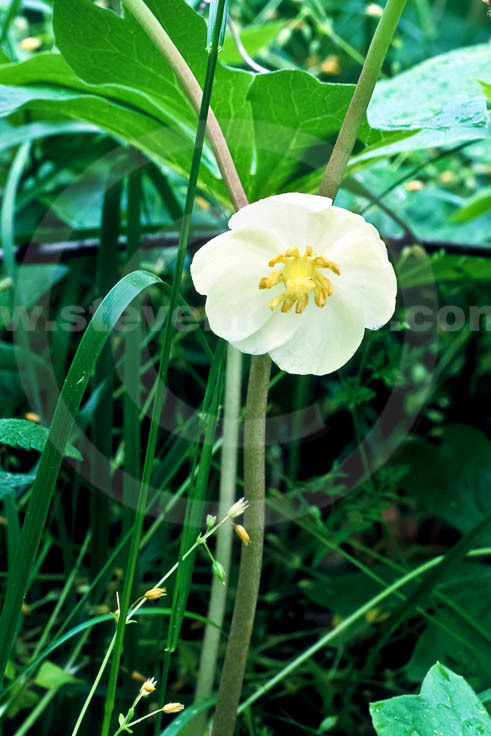 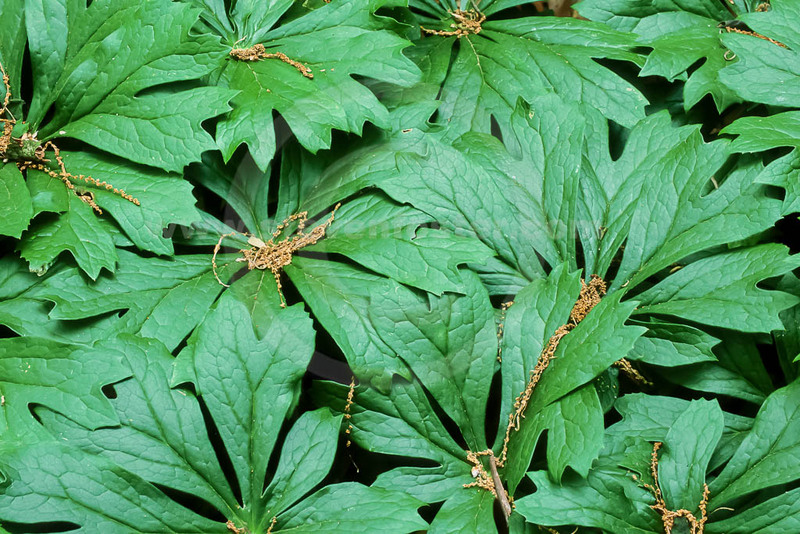 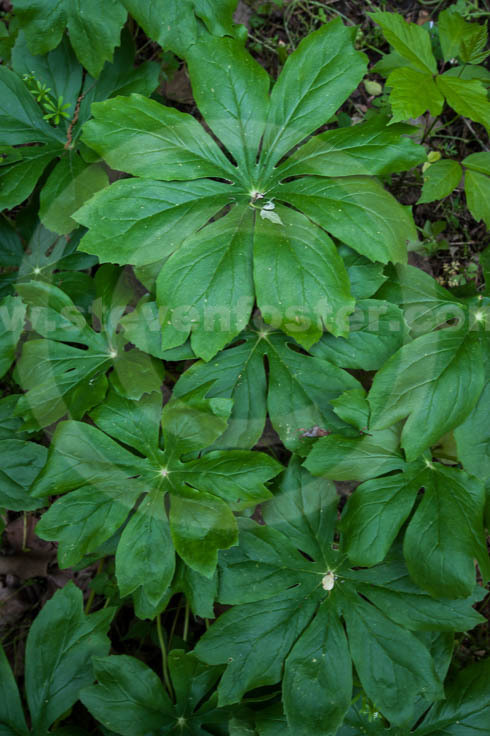 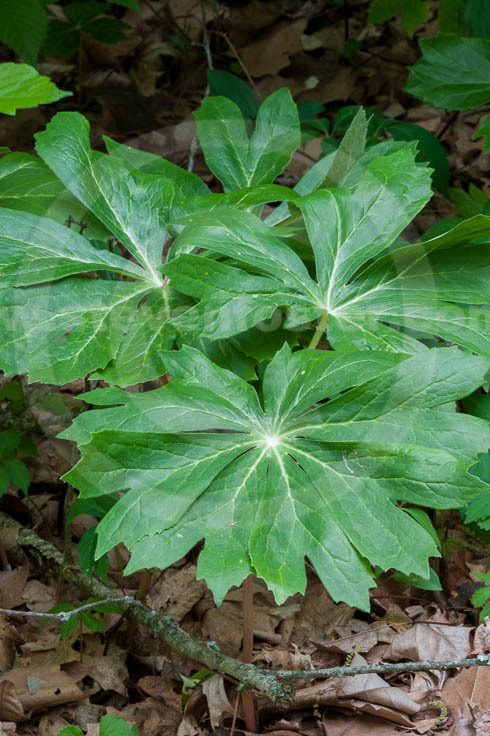 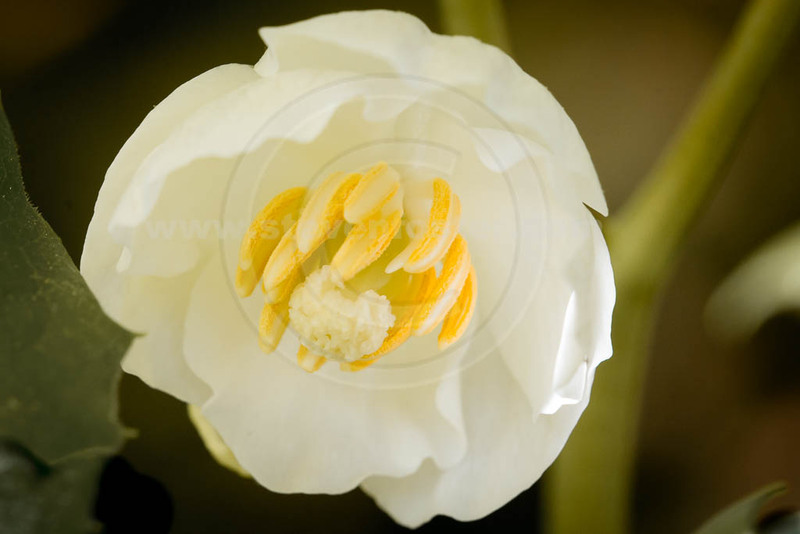 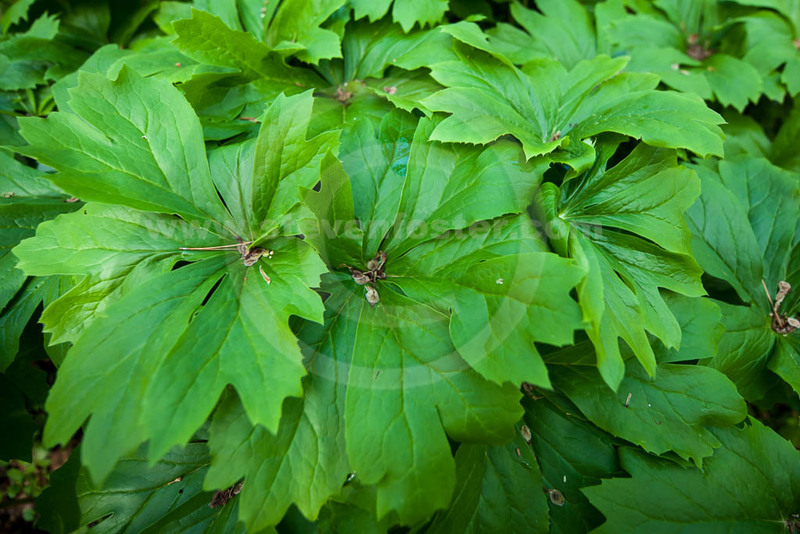 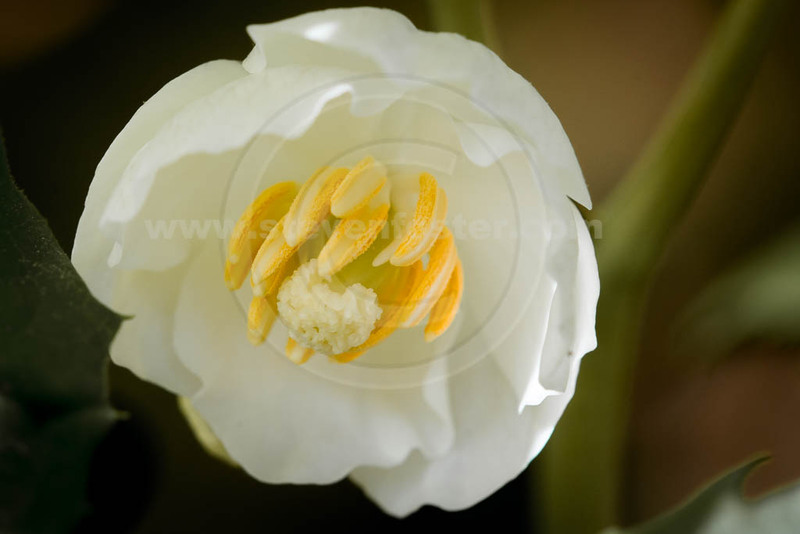 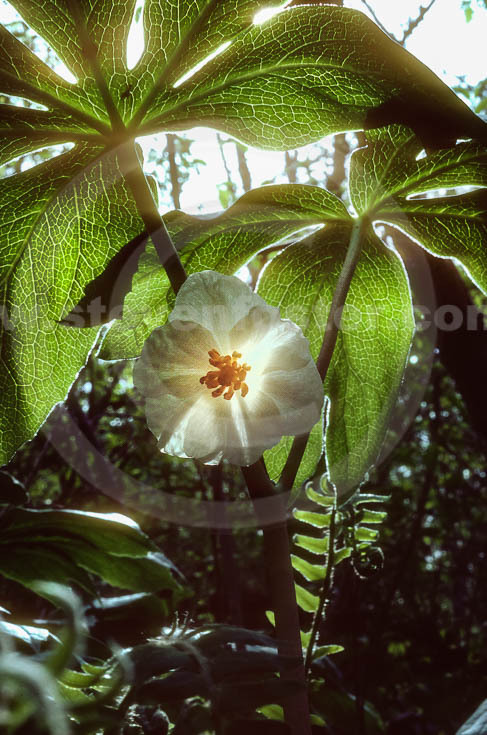 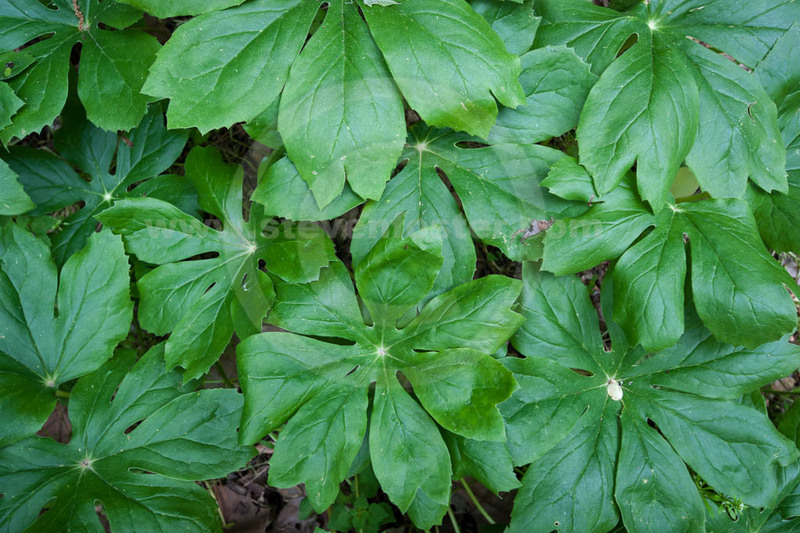 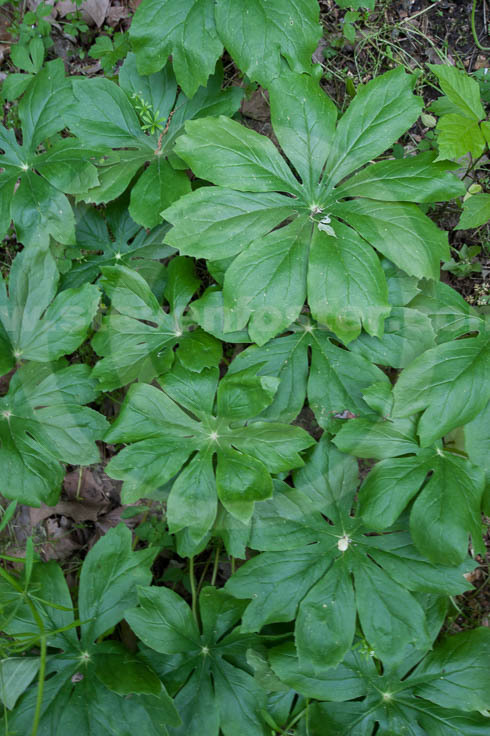 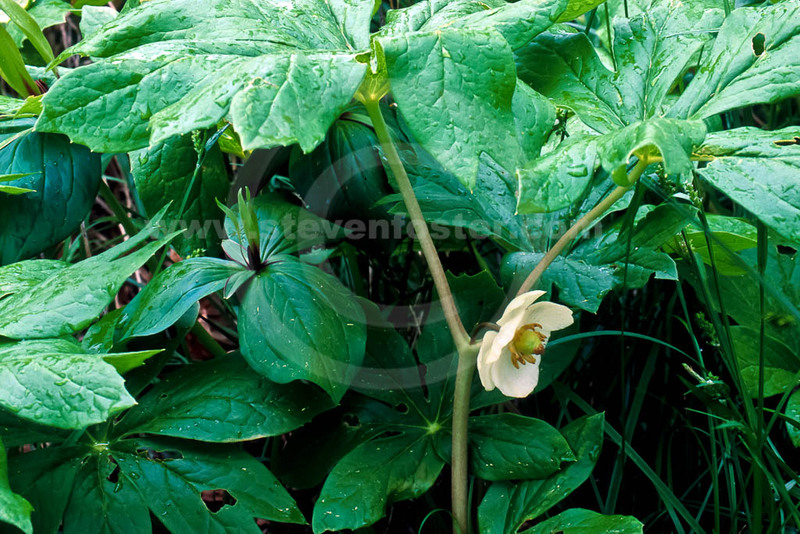 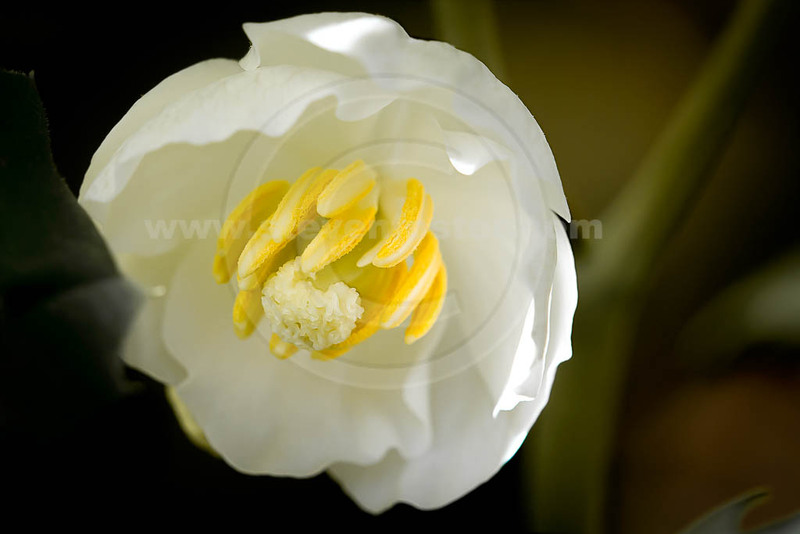 Photos of Podophyllum peltatum, Mayapple. 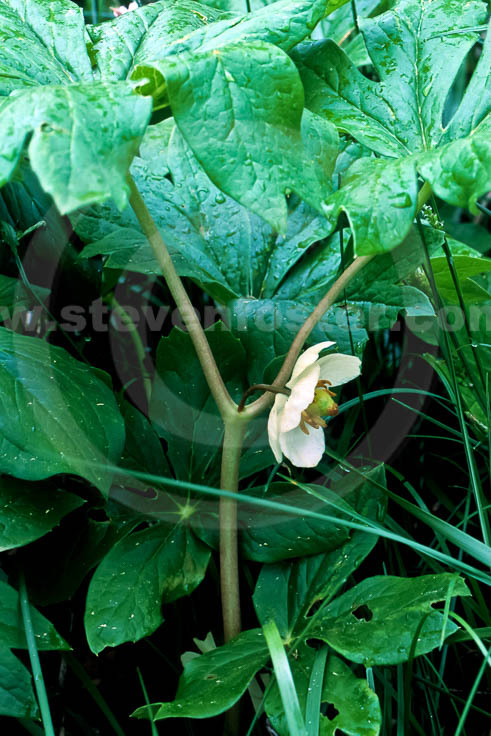 Podophyllum peltatum, Mayapple. 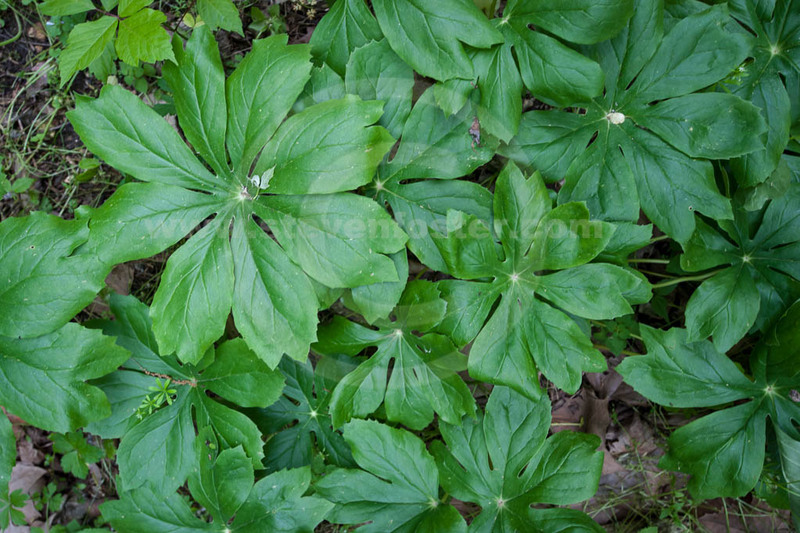 One of the most important, medical practitioner-administered American medicinal plants, both historically and today. 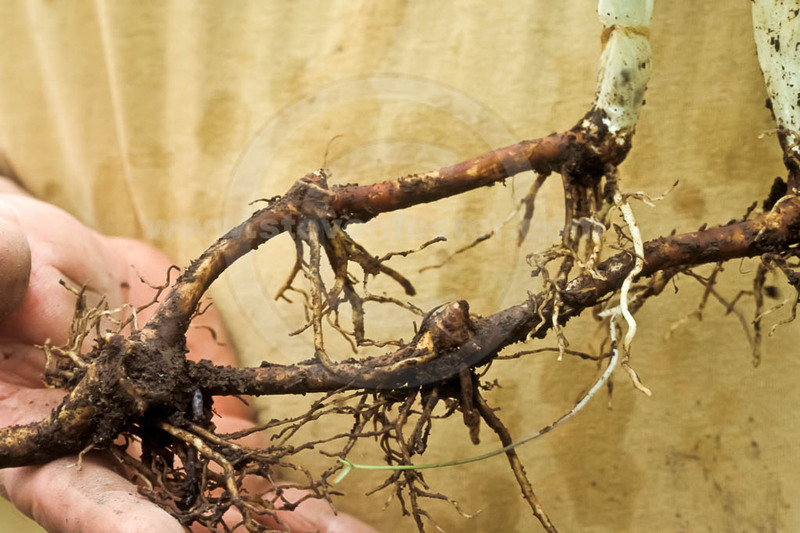 Native Americans, such as the Cherokee and Cree, along with early settlers used roots as a drastic purgative, emetic, worm expellant, etc. 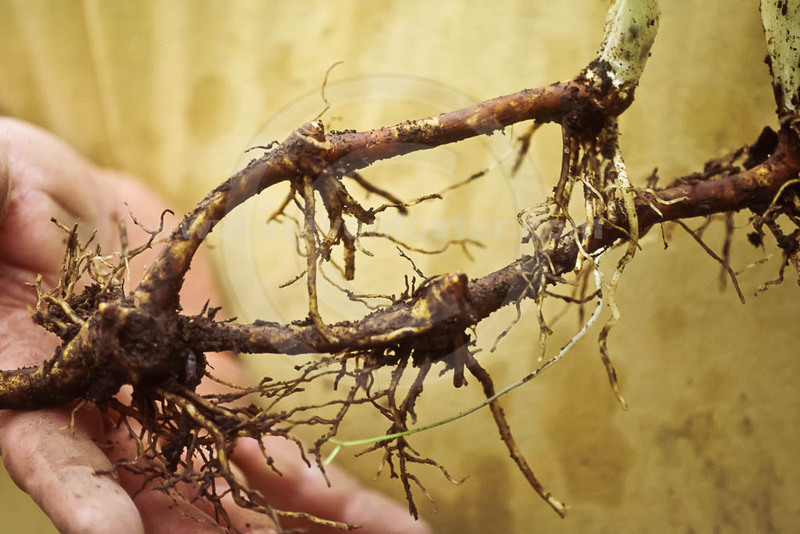 Resin from root, podophyllin (highly allergenic and toxic), used topically to treat venereal warts. 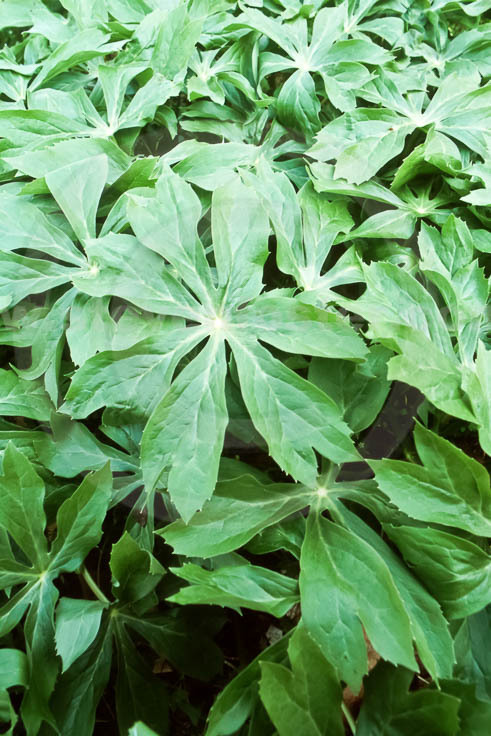 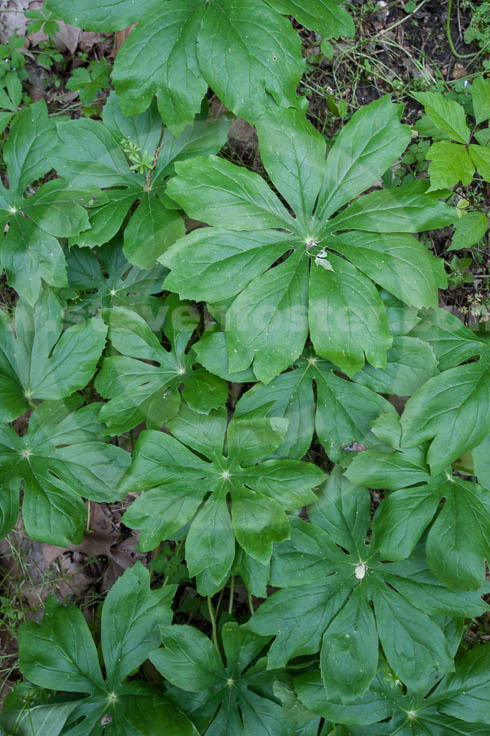 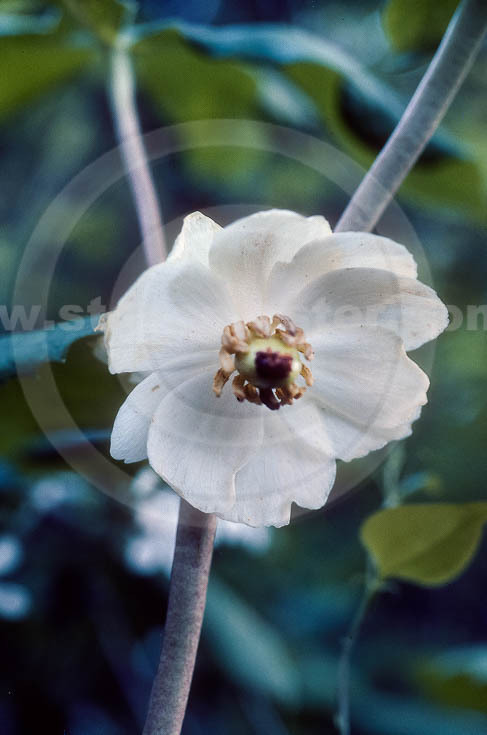 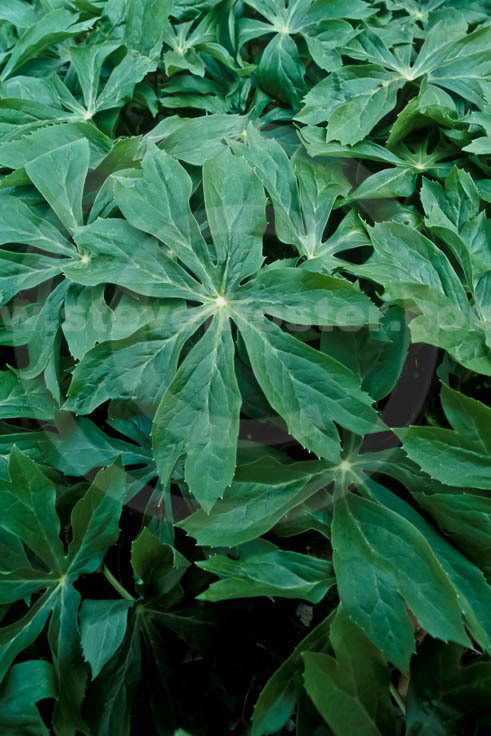 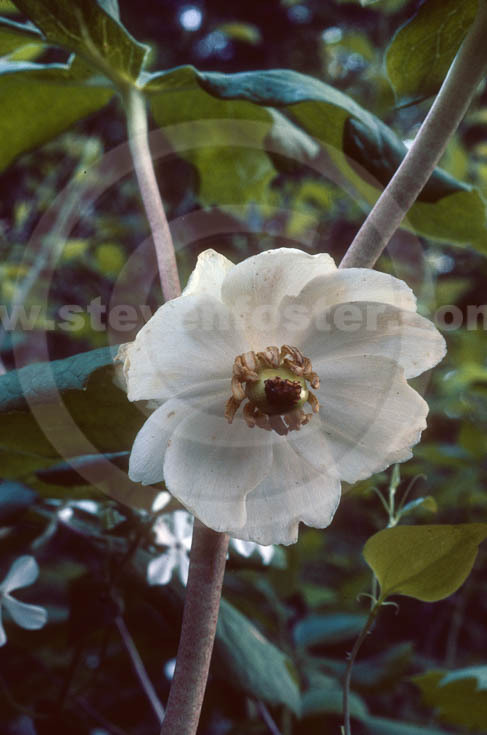 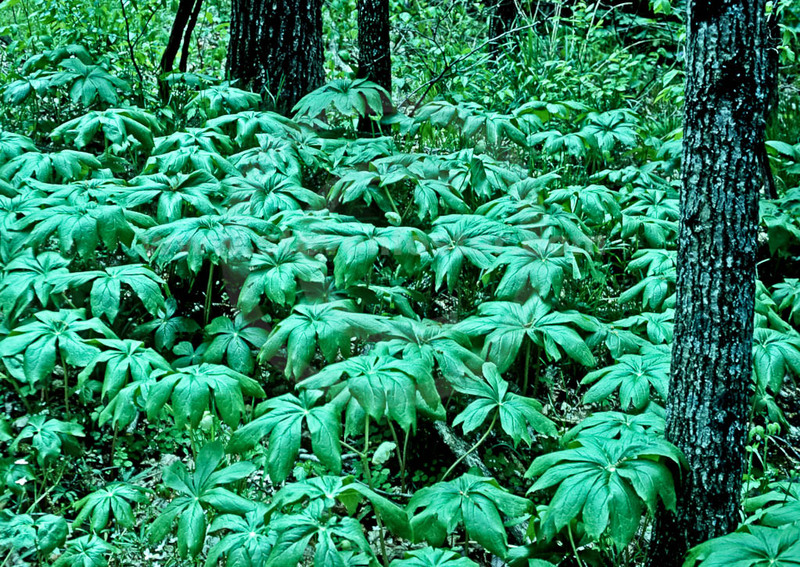 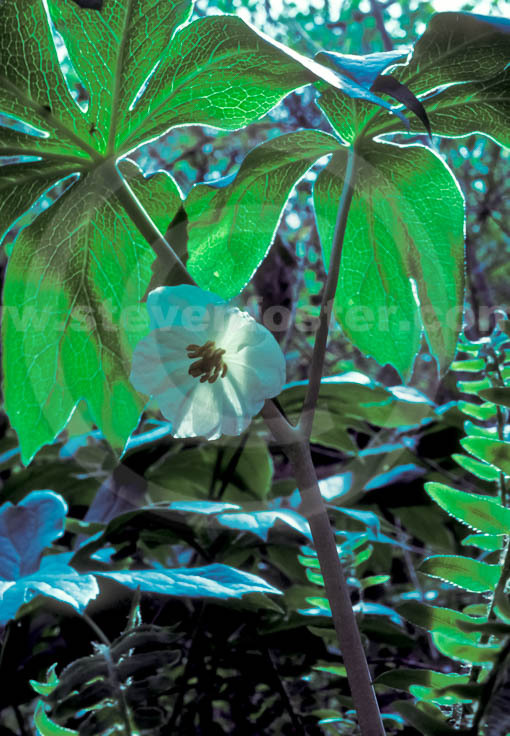 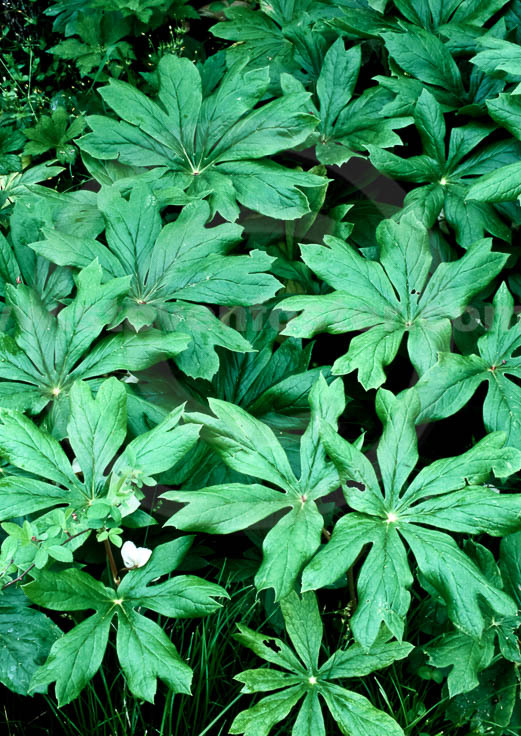 Modern interest in mayapple focuses on semisynthetic derivatives of podophyllotoxin (primarily extracted from the root of the Himalayan mayapple Podophyllum hexandrum), used in chemotherapy for small cell lung cancer and testicular cancer among others. 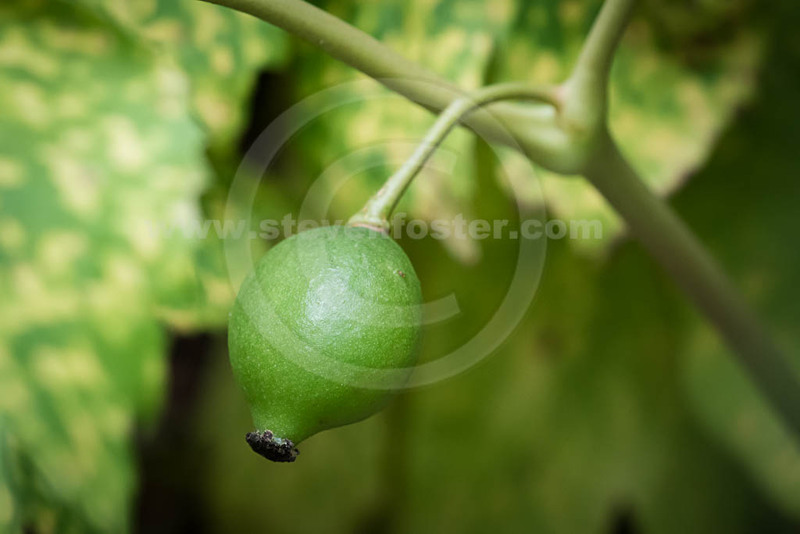 Fruits considered edible.